"Lauren is a gifted bodyworker for both humans and horses alike. She combines a refined sensitivity to her clients' needs with a wealth of ingrained techniques and approaches. She has a way of unwrapping the restrictions in both people and equines in such a gentle, perceptive and comprehensive fashion that they melt into the experience." "The changes that I have experienced through working with Lauren have been profound! I feel like I live in a whole new body that is integrated and dynamic, thanks to the amazing skills that Lauren possesses." "Many years ago I met a Rolfer and when the technique was described, it sounded harsh and painful. Then I attended a clinic few months ago and met Lauren, a Certified Advanced Rolfer, and after sharing my previous experience, she did a sample of her work on my arm. Oh my gosh! So different. Her touch is gentle, purposeful and healing. Not much later, I won the bid on her services at a fundraiser. She came out to provide healing to my horse, Dillon. She was always on Dillon's time.... to meet him, letting him get comfortable with her, and working on him. No requirement to tie him up - so he was loose in the round pen. Yea! When he needed a break to process what she was helping him release or to come over to check on me, she was okay with it. He walked over to her when he was ready for more releasing. She's really good at intuitively reading the horse and makes the healing that much more beneficial. I'd describe her work as a combination of intuitive connection & communication plus technique plus energy healing. Dillon is used to that type of healing and he enjoyed his session immensely. Lauren helped release his chest, back, rib area, jaw, head - well everything. When I saw Dillon a few days later, he continued walking feely with more flexibility than in the past. He seemed like he was grounded in his body and had brighter eyes. I learned from Lauren to give Dillon lots and lots of time to process. I can't wait until she has classes to add her technique to my toolbag of healing." "At the end of Dillon's session, Lauren gave me a mini-session to help me with my balance after my accident. I followed her guidance, and when she focused on certain parts of my body - I involuntarily moved in ways I wasn't familiar with. Like she was helping put my nervous and physical systems back in place. It was amazing. I continue to use her techniques when I'm feeling ungrounded or wobbly. Which isn't much anymore. " About a year or so ago I came to Lauren after spending almost a year going form doctor to doctor to figure out what was going on with an injury from a horse falling over backwards, saddle and all on me. The shoulder of the saddle went into my inner thigh when she fell leaving me rather sore. I had no pain for months then all of a sudden I had sharp shooting pains in my leg and was not able to touch it, putting pants on was incredibly painful. All the doctors just performed test after test, some much more painful than others. Then a doctor finally suggested deep tissue massage therapy. Well I knew having someone pushing on this particularly painful area was NOT going to happen! So while I was trying to search for someone who was not going to under estimate the amount of pain I was in. One of the offices I called recommended to talk to Lauren at Body in Harmony, so of course I looked on line first to see what this was all about. I called Lauren up she got me in pretty quick, at the first appointment I was bit nervous from all the poking and prodding I had been through. After my first appointment I was still sore but left feeling more comfortable. By my second and third appointment my pain was much more bearable, by the fourth appointment I was nearly pain free!!! Through all of my appointments Lauren always checked with me throughout to see how I was doing and if the pressure was okay. I have not been back to see Lauren in about a year and when I start to feel a little uncomfortable I use the breathing methods she had me go through in my appointments and within minutes I’m feeling much better!! I have recommended to others to try to go see her for other things. I would like to have her see a couple of my animals in the future as well! Lauren is an amazing rolfer! Our session left me feeling lighter and there is a very noticeable difference in how I'm carrying myself. I cant wait to work with her again! It's hard to put into words who Lauren is and how she works, touches, heals. I can't tell if the energy is coming through her or if she is creating it. I just know that an altered space is created just by being in her presence. She helped me when I was having neurological difficulties with balance and control of fine motor skills. I always felt calmer and more centered when Lauren worked on me. She is a brilliant and sensitive body worker with animals and humans. Everybody loves her...horses, dogs and people. She works from her heart and sees and senses things most people wouldn't. Lauren is love and love heals. 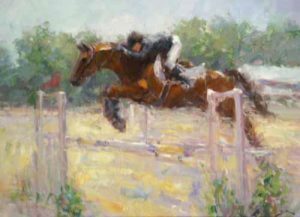 I have seen the results of her work on horses and it is amazing! It's like she opened up the envelope of one young scrawny horse that I worked with as a yearling and gave him space to grow into a stunning big gelding. I'm not quite sure where she gets her messages but I know it is divine. I can't wait to get back in her schedule...it's on my bucket list! Lauren has done amazing work for both me and my dog Sitka. Sitka is an 11 year old malamute who had to have surgery done on a torn cruciate ligament about 5 years ago. She's getting stiff and arthritic in her knees and other areas of her body she has been using for compensation. Lauren's work has helped her find more ease and comfort in her body and she absolutely adores Lauren. As for myself... Lauren has helped me work with old patterns of tension and discomfort in my body. I've found a great deal of relief from her sessions that really helps me in my yoga practice and my riding. Lauren certainly has a special touch with all beings, and I've personally been witness to how much she helps horses, dogs, cats, and people. Whether it is helping to heal the aftermath of an injury or just to treat yourself to something that will make you or your animal friends feel great, I highly recommend Lauren's practice! I can't say enough good things about Lauren. I am a dressage rider and trainer and wish Lauren could work on all of the horses that I ride. I had the pleasure of having her work on my very sensitive mare for the last two + years and we both love Lauren for her calm and patient approach. A lot of the standard touches/ strokes were a bit too much for Prada to process initially and it always takes her a while to trust new people. Lauren was very patient with Prada's comfort level and by the end of the two years Prada enjoyed her sessions with Lauren so much, I couldn't believe it! My horse has had a lot of health and body issues, of which we have finally figured out the underlying causes, but in the meantime Lauren was always very helpful in helping me identify areas of her body that were out of balance or tense and approaches to help her be best. She always took the time to listen to me describe what I was feeling under saddle and helped me understand where that tension was coming from in her body or where she might be compensating. She told me after a session once that she thought a lot of her issues were coming from her hind gut and after another month of pain, I started treating her for hind gut ulcers and the difference was amazing. Anyway, I could go on and on about how wonderful Lauren is. I'm sad I have left Colorado and she can't work with us anymore! Lauren is amazing!I was very sceptical of how rolfing works after the first session my horse was a much happier horse.He is much more willing partner. After 3 sessions it was clearly visible in his movement how much help Lauren provided. Lauren has helped the horses I've ridden and has helped me immensely. I'm a middle-aged adult amateur dressage rider who has had a couple car accidents, a couple surgeries on my spine, and have a fair amount of titanium holding me together. The horses, too, had some pre-existing conditions that made regular work more challenging. Through Lauren's Rolfing sessions, both horses made great improvements in their way of going. Both geldings obviously received great benefits from her sessions and were far easier to introduce challenging exercises to. As for me, Lauren has been able to help me use my body in far more effective, correct ways--in and out of the saddle. In March of this year I had a disc replaced (on top of two 3 level fusions done in 2001), plus I had a 3 level lumbar stem cell treatment. Thanks to Lauren I was literally back in the saddle 6 weeks post-op and -procedure! I am firmly "sold" on the benefits of Lauren's Rolfing--for me and for my precious equine dance partners. I was one of those not so knowledgeable persons about rolfing - just what is rolfing anyway? It's not chiropractic and it's not massage. It is a skilled approach aimed at releasing muscular tension right down to the core, so it's quite deep in the area of need. Lauren is passionate about what she does, that's why she does it so well. She is extremely knowledgeable about the body and how it works which results in consistency in her approach. Even I don't understand it all, but what most do understand is pain vs. no pain. Keep up the good work Lauren and soon everyone will know the benefits of rolfing and recognize Body in Harmony as an industry leader. I've been working with Lauren for almost a year now an she has helped restore movement where I didn't have any for the longest time. I had old injuries since childhood and I'm slowly restoring movement to the areas I thought were lost. It's amazing how you adapt to moving certain ways from old injuries, I had no idea that you could get movement back. I also had Lauren on one my my mares, who had surgery several years ago, and she made a difference in her confidence on the ground and under saddle. I came to Lauren with a very crooked body, which after the years was wreaking havoc in my life, causing foot & leg muscle pain, I carried tension & pain in my upper back due partially to a physically demanding job (I am a metal chaser) and most importantly, the overall stiffness in my body was stifling my dressage horseback riding ability. I had experienced Lauren's outstanding work on my faithful steed, Domingo – observing the tremendous changes in his body, which had been present for years due to improper pressured riding with his previous owner, causing old injuries he was coping with. With gentleness & soft energy Lauren freed Domingo's body to a much younger self. The same has been true for me, as my body is longer (I have lost weight also through this process) with a waist that is balanced & free moving hips & pelvis. Lauren also works with my breath to release tension & stress throughout my body & I use these techniques both at work, to keep my upper back loose, & while riding, to deep breathe throughout my lungs which keeps the energy flowing through my body so I do not block the movement of my horse. Friends who have not seen me for several months are amazed! And I am amazed when I look in the mirror too – can't believe this is my body! I am still a work in progress, but the changes so far are outstanding. All of this with a gentle touch as Lauren teaches me to allow my body to be balanced & free. I just took the Equine Structural Integration for Horse Owners class yesterday with Lauren. She is a gifted instructor, who really packed the one day class full of information, technique and hands on practice. She is passionate about what she does and obviously loves helping people and animals to feel and be their best selves. I cannot wait to have her out to work on my horses! I cannot say enough times how much progress my body has made since I started to see Lauren last year. Lauren’s ability to connect with her clients through her work is truly a gift. Thank you! I brought my daughter to Lauren after she hurt her knee playing basketball. We wanted to improve the mobility and strength of the knee as well as reducing the swelling. Lauren worked with her to be able to have fluidity to the movement of the knee and the swelling was significantly reduced. My daughter returned to the basketball court with confidence due to the work and "homework" that Lauren did with her. I would highly recommend Lauren to anyone, she is truly gifted! I *HIGHLY RECOMMEND* Lauren's one-day workshop on Structural Integration for Horses! It is HANDS DOWN the best one day equine class I've ever taken! Not only will you learn effective techniques to help your horses, you'll learn ones to help yourself too! I use what I learned in this class every day on my own herd of 6 horses with chronic pain issues. They love it! I even used it to help my husband when he fell off one of our horses. And one of her techniques helped my own elbow pain immediately. This is GREAT, effective stuff! I combine her techniques with self-taught Masterson Method and NOW I feel like I FINALLY have an effective toolbox of techniques to truly make a difference for my herd who all have different chronic pain issues. Now I am EMPOWERED to help my herd in between sessions of paid bodywork/chiro/accupuncture. Gift yourself and your herd with this class, it's the gift that keeps on making a real difference! Until Lauren had told me about Rolfing I had never heard of it and was definitely curious to check it out! I am so glad that I did and booked a session with Lauren! I have always had a really tight upper back and chest area and after one Rolfing session with Lauren I felt so much freer and like my muscles took a much needed sigh of relief! I definitely recommend Rolfing and Lauren, especially if you are looking to find something that works with your body for long results! Lauren had helped a horse I was riding for a friend that had some very old postural issues as well as some body balance problems. I was a bit skeptical at first, but after each visit I saw a marked improvement in the horse's ability to move and coordinate himself. By the 5th session he was so free moving that some folks asked me whose horse it was. I decided to try Lauren on my own horse that had an 8 year old healed shoulder injury as well as some old ligament restrictions in his lower LF extremity. There were also some compensation issues that he was dealing with regularly that were being treated with acupuncture and chiropractic treatments. Since he was a basically healed but showed only restrictions I ran him through her recommended 5 treatment plan. Have to say I've never seen this horse move so loose and free. He now can extend his shoulder and his compensation issues are neither as frequent nor severe. He's a performance horse showing in Versatility Ranch Horse and finished out 2nd overall in our division and he did sound and happy. She has since worked on other horses at our barn with very old scar tissue and it's amazing what is happening to these guys. I've recommend Lauren of several other people and hope to see how these horses progress. I think it's important to mention that good riding rehab plan also plays an important part for quicker healing and holding on to the new pasterns. Thanks for all you do for our equine friends! Lauren is amazing! She is very knowledgeable, caring and gentle. I highly recommend her! "I love to watch Lauren work on my own horse Jack, and the other horses in our barn. You can tell how much they enjoy a session with her through their body language. She is thorough, knowledgeable, a pleasure to work with, and truly adores horses. Jack loves when Lauren comes and is much happier after an appointment. Sessions for Jack with Lauren have become a part of our routine in the most successful show season we have had together yet. I am truly grateful to Lauren for sharing her knowledge, skill, and passion with me and Jack. " 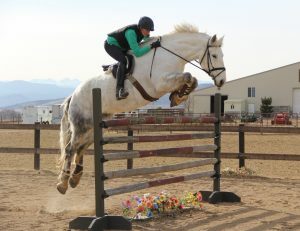 Body in Harmony does amazing things for horses. A horse of mine that couldn't be ridden due to body issues is now working quietly under saddle and I plan to ride him within a couple weeks. "I want to thank Lauren Harmon for the work she did on me with the Rolfing® Ten Series. She is amazing, very intuitive. Without me having to say a word she found the problem areas on my body and proceeded to "put" them back into alignment. I feel my posture has improved, painful areas relaxed, and an improved sense of well-being. Thanks Lauren." I am so thankful for the referral to Lauren. She has done an amazing job on our horse Dallas. She has treated him twice and his movement and attitude have changed unbelievably. I am all about treating the source of the problem with our horse and Lauren shares that passion. Weather you have a problem area or your horse just needs a little TLC, Lauren does amazing work! I would recommend her treatments to anyone! Lauren is a very talented bodyworker! I came to Lauren with a strange shoulder (intermittently sore) and a very tight hip. I thoroughly enjoyed the ten series. Lauren doesn’t just work on you, she also takes the time to educate you about proper and efficient movement which is knowledge you take with you. The shoulder and hip problems are now just a memory, and I look forward to future sessions for a “tune up”, because I always come away from a rolfing session with Lauren feeling great, more graceful, and taller, and this feeling lasts for a long time! The ten series has definitely helped me to feel more connected and coordinated no matter what I’m doing – walking, running, and even sitting. Since I started my rolfing sessions with Lauren last year, I have felt significant improvement to my posture and basic balance overall. I feel like I stand taller and straighter, and I feel like I walk smoother and lighter. Lauren understood any issues I had and made huge improvements to my overall mobility. Thanks, Lauren! You're the best!!! Lauren has a natural, intuitive talent for welding with the body. She's a talented Rolfer who understands the subtleties of the human body. I'm finally on the road to full recovery after 2 pregnancies and a horse accident 8 yrs old! I began seeing Lauren Harmon for Rolfing at the end of the year 2011. We spent several months working on transitioning my body into a state where I would be ready for the full Rolfing 10 series. These several initial months working with Lauren were extremely helpful in reconnecting my body with my mind, and preparing me for the full effect of the 10 series. Having just completed the ten series in August of 2012, I can say that the effects of the work that Lauren has completed on my body are still being realized. I have had scoliosis and kyphosis (curvature of the spine from front to rear) since the age of 10 when I was in a car accident that injured my back. After years of unsuccessful or incomplete chiropractic work and physical therapy, I can say positively that the structural integration of my body through the Rolfing 10 series provided by Lauren has been extremely rewarding and successful. The results speak for themselves, as I have been able to recover nearly an inch of height after my time with Lauren. This inch of height was there all along, but my body was unable to utilize it, as my body had been so misaligned and unable to self correct before working with Lauren. Lauren has helped with the alignment, and with my ability to recognize misalignment and poor posture. My body has been able to self correct itself much better from my work with Lauren. The tracking and active movement work that Lauren performed has helped my everyday posture and ability to move the way I want to, and be able to mountain bike, hike, etc, much more easily than before working with Lauren, and with much better technique. The overall connectedness, proprioception and awareness of my body that have come from working with Lauren are truly astounding. Issues with my body from old injuries (like a severe sprain of my left ankle, and recurring dislocation and slipping of my right shoulder) have grown smaller than I had ever thought possible before working with Lauren. I plan to continue to see her for regular maintenance and hope to continue seeing wonderful improvements in my ability to live life in full movement with her help and the lasting effects of the 10 series. I've been working with Lauren Harmon now for about a year. I was new to the Rolfing idea and after the first session I was hooked! I got better results and longer lasting results than I had with massage or a chiropractor. I am a professional horseback rider and had experienced bad hip pain for about 5 years. That's when I met Lauren and she offered to help me. I was amazed at how she could change the structure of my body and the way that I could walk and sit in a saddle. Unfortunately I had a condition which required surgical correction. After working with Lauren for a couple of months I saw a doctor and was diagnosed with Hip Dysplasia and Femoral Acetabular Impingement. She was able to help with the pain control and alignment of my body until I went in for surgery. It has now been 2 surgeries later and I have been working with Lauren on helping my body adjust to its new structure. I believe that the Rolfing has shortened my recovery time dramatically. Because of Lauren's professionalism and patience, I have become much more aware of my body and how it's supposed to move. I was able to see what things would feel like before my surgery and am excited to continue working with Lauren now for lifelong results! I can’t thank Lauren Harmon enough for the positive changes I have experienced with the Ten Series. I was new to Rolfing in the beginning and didn’t really understand the benefits. However, I trusted Lauren and went through each therapy session knowing that she would find those problem areas and make them better with each visit. As a result, I feel better physically, my posture has improved, my neck and shoulder pains are gone, and I have a better understanding of how all areas of my body work together in harmony. I appreciate that she also offers suggestions on how to maintain the structure and continue to make improvements in between visits. Her therapy sessions have definitely made a positive impact in my life and overall wellness. As an avid trail runner, cyclist, and professional Equestrian; my body endures a lot of stress. Although slightly skeptical of Rolfing, I began to see Lauren for sessions and loved the results! I've discovered this to be the only body work that keeps me balanced, aligned, and pain free. Lauren does a wonderful job of explaining what she's doing and why, which helps me really understand how my body works in all my activities. I would recommend any athlete to see her, you'll feel so much more free! In addition, I had Lauren work on one of my clients horses, and he is now so free in his shoulders and moving great! Rolfing seems to be the only thing that really helps this horse loosen up. Lauren takes all the time that's necessary to do her sessions right and have them be informative. Lauren Harmon saved me! Rolfing ROCKS! Your work has helped my back, neck and shoulders feel so much better! Everyone thinks rolfing is intense and a painful experience, nothing could be further from the truth! While the work is deep, Lauren's technique is gentle and shes always aware of my comfort. Thank you Lauren! I look forward to my next session! Lauren has a unique and powerful way of working with horses. Her gentle way creates a safe and transformative place for the horse. When she works with my horse the difference in movement and demeanor is really amazing to see. And, the changes last. I highly recommend Lauren. My horse Merlin and I were lucky enough to be a demo horse for Lauren at the RM Horse Expo in March. He really seemed to like the treatment and it helped his L shoulder a great deal. The next day after the demo, however, I got a call from a friend that he was acting very zoned out in his stall at the National Western. A call to Lauren and she went to see him before I could get there... he was just processing things and grooving on feeling good!!! She came out to J Bar 4 Ranch to continue the Rolfing treatments on Merlin and it has made a tremendous difference in his ability to use his body. I am also using the balance rig 1-2 times per week, but he just got seen by our beloved wonder-vet, Diane Wagner, VMD, and she said his back was the best ever!!! And, Lauren has provided similar amazing treatment to several other horses at our barn as well. "Lauren has done amazing things to help my horse Merlin with his physical (and emotional) issues!! THANK YOU!!!" Working with Lauren has been such a blessing - I always feel lighter, more grounded and balanced when I leave a session. And because Lauren takes the time to explain the logic and give me practical tips to incorporate outside the sessions, I am able to sustain the wellness. Everyone should try this. Lauren is amazing!! For what I have to do on a daily basis, she is always able keep my body working and moving so easily and pain free! She is full of so much knowledge that also enables to me help my clients with their movement in classes as well! Thanks Lauren! InstillHarmony.com © 2017 | This website is solar powered!